RS DEZINES specializes in custom airbrush painting of HOCKEY GOALIE MASKS, SHIRTS, MOTORCYCLE HELMETS, GOLF CLUBS and ANYTHING you can paint on! 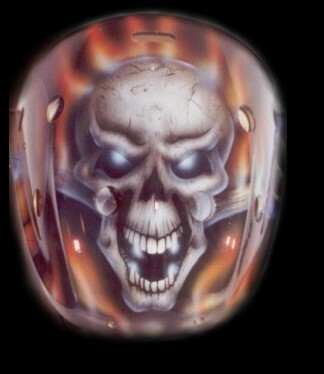 Get your MASK or HELMET painted with one on one attention from airbrush artist Rob Schlitter. With over 20 years of experience, Rob has painted over 300 GOALIE MASKS and 500 SHIRTS and offers a lifetime guarantee on the clear coat! Let your imagination run wild and get your next design done by RS DEZINES! !